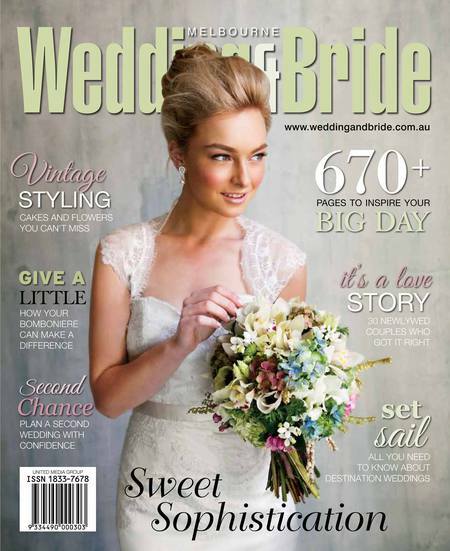 Australia's No.1 Bridal Magazine, Melbourne Wedding & Bride is hosting its premier event in October for brides-to-be and their partners. Located at the Melbourne Convention and Exhibition Centre, the Melbourne Wedding and Bride Expo serves up 3 days of pre-wedding planning and shopping. There are more than 150 exhibitors showcasing bridal gown collections, classic cars and limos, stationery, hospitality, vendors and honeymoon destinations. There are also daily fashion parades to provide some inspiration and designers to meet and exchange ideas. You can stand to win more than $30,000 in prizes and giveaways. Best of all, tickets to this ultimate expo destination for Melbourne's brides-to-be is FREE for a limited period of time. Simply use the promo code "weddingandbride" to redeem your free entry ticket.